Our practice areas have evolved to enable us to serve our clients throughout the lifecycle of their businesses, and are supported by a team of highly effective professionals with substantial experience in each area. Click on a practice area below to learn more about how we can help you translate experience and knowledge into profitable action for you! Did you know that there are over 22 Million businesses in the United States? Over 1 Million of these businesses have revenue of $1M per year or more. Businesses with Enterprise Value between $2 and $150 million constitute about 650,000 of these. Only 6500 +/- are publicly traded. Corporate owners hold about 20% of these businesses, while 50% of all these businesses are owned principally by business owners 50 years old or older. Over the next 15 years, the baby boomer generation will move into retirement, and as they do over $10 Trillion in wealth will become monetized and transferred. This phenomenon will result in tremendous opportunities for private and corporate business owners, but the value of the opportunity will only be realized by those savvy private and corporate business owners that are well prepared. Are you? As a corporate owner, have you determined how you will run your businesses as your leadership team moves into retirement? As a private business owner, are you confident that you have a solid plan to get out of the business and get on with your life when you choose? Do you have a clear plan to select and prepare a well qualified successor? Is it likely that the business will stay in the family, or under the same corporate ownership? Can you honestly say that you are ready and confident that succession has been thoroughly and effectively planned and that your needs and interests as well as those of the company have been properly defined and protected? Click here if the answer to any of these questions was no and learn how the Praxiis team of professionals can coach you and create a thorough Succession Strategy and Exit Plan that enables you to exit the business at the time and price you choose, and to a successor you select. Is it time to sell your business? Will it be time in the next five years? Whether today or tomorrow, specializes in enabling you to sell your business for the best price and on the most favorable terms that are designed to meet your post-sale objectives. For private business owners looking to exit and convert the years of hard work to personal wealth, and for corporate owners seeking to cash out and move on to other opportunities, a well planned and executed sale strategy will maximize the value obtained on sale. serves as a private investment bank for private and corporate owners of businesses with enterprise value of $1 to $150 Million. Our proprietary strategic selling process investigates and develops solutions for all of the business, legal, financial and personal issues involved in a sale, and then integrates them into a comprehensive plan to enable you to maximize the value you received on sale. Our team of Certified Advisors together with our network of Affiliated Professionals, our strategic alliances with other M&A firms, and professional associations such as the Alliance of Merger & Acquisition Advisors, enables us to directly connect you to a global community of buyers and specialized professional advisors to create the most profitable and timely exit for you. Our proprietary process to help you maximize value on sale is discussed in depth here. Many businesses are confronted with performance challenges. Challenges can be created by leadership change, merger and acquisition integration, volatile or changing market conditions, eroding industry economics and other factors. All too often, existing personnel possess the information and knowledge to address parts of these challenges, but have neither the time nor the strategic framework within which to develop and implement effective solutions that are aligned with the companies strategy. 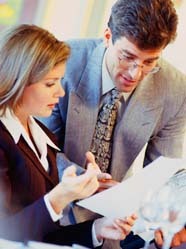 Our professional advisors work closely and collaboratively with management to create and implement comprehensive strategic plans for their businesses that clearly identify the vision, objectives, goals and milestones, resources, and timetable for accomplishment for the company using processes that build consensus and buy-in from the management team responsible to make the plan a reality. When specific underperformance issues are identified, we work with you to understand the root causes for performance problems, create a detailed improvement plan, look for alternative approaches and courses of action and roll up our sleeves to help you execute the plan. To learn more about how we can help your business develop a clear strategic vision and achieve top performance, click here. We have created a state of the art membership portal for Entrepreneurial Leadership, Training & Education called University. With this initiative planned for formal launch in mid 2005, we will deliver timely and authoritative information to assist our clients develop entrepreneurial skills, improve performance, maximize enterprise value, and prepare for succession and exit. University offers teleseminars, webinars, e-courses, peer-to-peer roundtable forums, and one-to-one and one-to-many coaching and consultative services. To learn more, click here. Affiliated Professionals program enables us to provide a high level of expertise nationwide across a broad range of disciplines through individual practioners that have formally affiliated with us by subscribing to the Professional Standards of Practice, Code of Conduct and Affiliation Agreement, and who have agreed to a continuous process of professional development. Affiliated Professionals understand the value of practical business advice. This seasoned team of professionals possess advanced degrees from the nations leading universities, highly regarded professional credentials across many disciplines, and have been on the firing line and worked in leadership roles just like you. Our experience with operating businesses for high performance in many industries and conditions, creating value, and bringing about successful succession and business transfers gives us the real insight that sets our team apart: practical and timely advice that can be immediately applied to creating solutions for your business. To learn more about how a Praxiis Affiliated Professional can help you achieve your objectives, or to learn about affiliation and earning the Certifed Advisor designation, click here. In the new economy, private businesses face an escalating risk of financial crisis, insolvency and bankruptcy due to many complex factors. An unpredictable economy, disruptive innovation and the defection of comparison shopping customers can lead to severe cash flow problems, critical loss of market share, destabilizing of banking and key vendor relationships, liens, judgments, litigation and bankruptcy. The Turnaround & Corporate Renewal Team gives private and corporate business owners and stakeholders a practical formula for diagnosing and healing their troubled companies. Click here for more info. The rapidly expanding $100 billion homeland security marketplace is not only creating enormous opportunities for security firms, but also substantial challenges for private and corporate security services firms and their owners. Creating strategies for high operational & financial performance, achieving competitive differentiation and dominance, driving value growth organically or through M&A, and devising and executing the most profitable exit require specialized advisory expertise from professionals with substantial security industry expertise. Homeland Security Advisors have substantial successful security and in-industry expertise and understanding of the unique homeland security environment. Click here to learn how Homeland Security Advisors can help you conquer the challenges shaping the new homeland security market. State Governments $300 billion, and Local Municipal Governments issue over $200 billion. Is your firm profiting from these contracts? The Government Services team has been engaged in all aspects of government contracting support for our clients since our first significant DOE win in 1985 at the West Valley Nuclear Services project in Western New York. Our Government Services team exists for the express purpose of providing reliable and highly qualified "cradle-to-grave" assistance to small and medium sized companies in their quest to penetrate and/or increase their share of the $800 billion Federal, State and Local government contracting market. To learn more about how government contracts work and how you can profit from them with the Government Services team, click here.